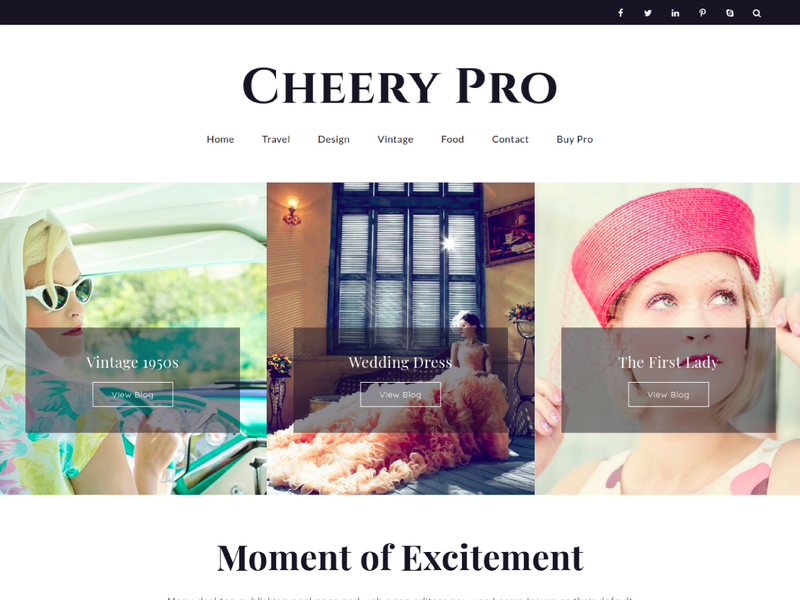 Cheery Pro is a clean and modern WordPress theme with an elegant, carefully crafted design. This powerful, responsive blog theme is ideal for your personal or magazine-style blog, whether your passion is travel, beauty, nature, photography, architecture, DIY… the list goes on! Cheery Pro will make your WordPress look beautiful everywhere. Cheery Pro theme has wide list of customizable features including front page customizable sections with customizer api and widgets, wide and boxed layout and many more options. It comes with cross-browser compatibility, mobile friendly design and responsive features.